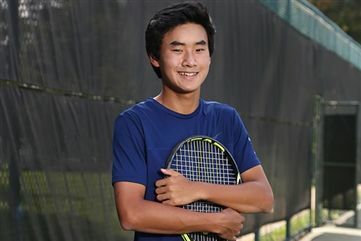 Senior Justin Luo has been recognized as a top player and scholar by the Michigan High School Athletic Association (MHSAA). For his academic and athletic accomplishments, Luo has been named a 2018-2019 MHSAA Scholar-Athlete, one of the most prestigious awards a student athlete can receive. Luo is one of only 32 students across the state to have been awarded this honor for the 2018-2019 school year. To be named as a Scholar-Athlete, student must undergo a rigorous application process. Applicants are judged by a large committee of faculty, coaches, and administrators from MSHAA member schools. Although 120 finalists are selected from more than 1,500 applications, only 32 students will be named at Scholar-Athletes. Those who are selected will be honored during the Class C Boys Basketball Final, which will be held on Saturday, March 16 at the Breslin Student Events Center in East Lansing. For full details about the program and its requirements, click here. 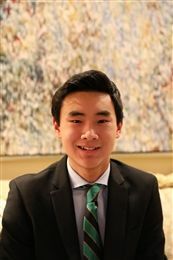 Students who receive these honors serve as representatives of their school communities and athletic programs, and Cranbrook is very proud of Luo for his success!